Limestone is a calcareous stone similar to marble and travertine. As such, it is susceptible to acid etching and finish degradation from soiling. Limestone is most often left with a matte finish, but can be polished like any other stone. 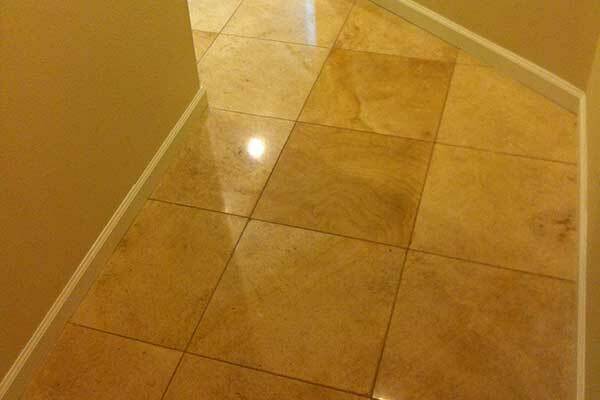 We clean and refinish limestone on floors and countertops and from time to time, we encounter limestone in showers. Since it is similar in structure to both travertine and marble, the issues that are common to both travertine and marble are common to limestone as well. As such, the way we treat it is similar as well. To remove soiling, traffic patterns and etches, we have to go through the diamond refinishing process. Once the surface has been refinished, we are ready to leave it with the desired finish.